ORGANISED BY SELF-PROFESSED “Head of Mischief” JOHN SAUNDERSON aka Main Man and all-round Good Guy at NHM PUBLISHING – this is THE NUMBER 1 Industry event – and open to everyone who wants to connect with music industry people. Check out what John has to say about the event below . “OK so here it is. 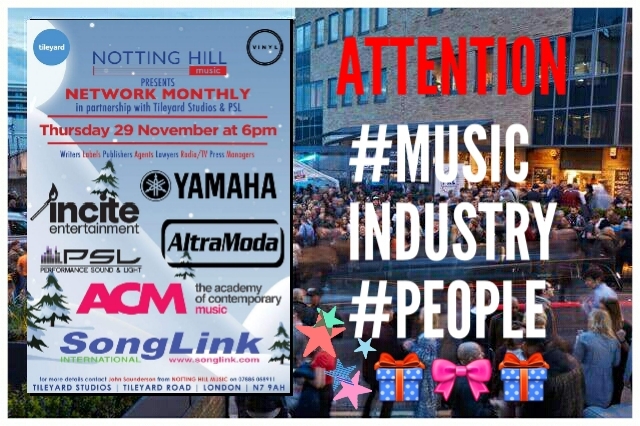 The next Networking Night is Notting Hill Music’s massive CHRISTMAS PARTY. 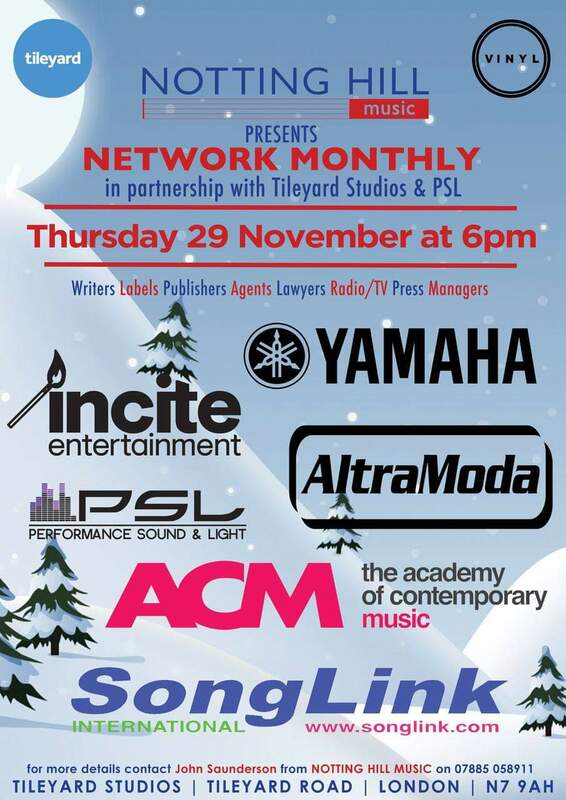 It’s starts at 6.00pm on Thursday 29th November 2018 at Tileyard Studios N7 9AH. If you are a writer/producer/artist/label/publisher/manager/agent/promotor/TV or Radio/lawyer. Get yourselves down to this IT’S FREE. No need to register or be put on a list. My ‘Staying Alive’ party attracted well over 800 so this Christmas one will be a roadblock. Got some amazing bands on. Looking to get the snow machine out. The alcoholic Ice Luge and a photo booth. SO – There you have it .. come along .. it’s fun, its friendly and, it’s packed with the people who could be helping you on the way to your next big opportunity to succeed . See you there! !